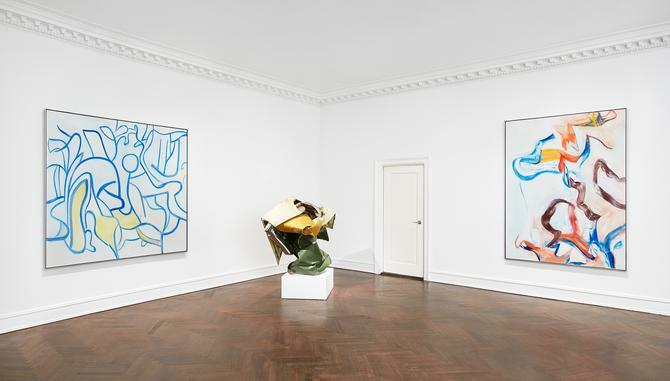 New York- Mnuchin Gallery is proud to present Chamberlain / de Kooning, an exhibition of sculptures by John Chamberlain and paintings by Willem de Kooning. 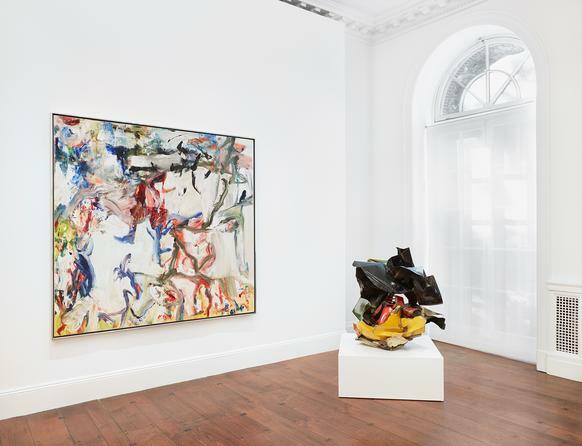 While art historians have long noted Chamberlain’s close ties to Abstract Expressionism and the influence of de Kooning’s imagery on his work, this will be the first exhibition to focus specifically on the visual dialogue between Chamberlain’s oeuvre and de Kooning’s late paintings of the 1970s and ’80s. The exhibition will be on view from November 2, 2016 to January 28, 2017. It will be accompanied by a fully-illustrated exhibition catalogue authored by Dr. Pepe Karmel, with personal essays by Jim Jacobs and Robert Mnuchin. 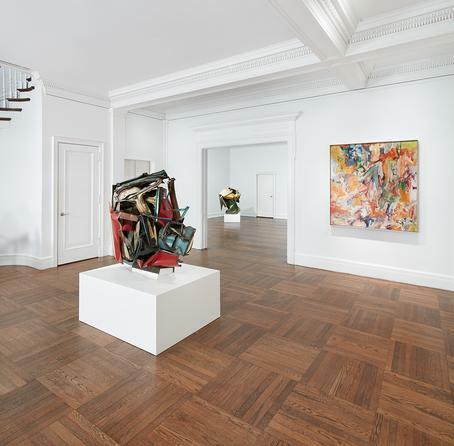 In the show Chamberlain/de Kooning, currently on view at the Mnuchin Gallery in New York, 12 sculptures by the artist John Chamberlain (1927-2011) share space with seven works by his peer, the painter Willem de Kooning (1904-1997). The pairing shouldn’t be provocative. After all, both are tied to abstract expressionism, and both artists shared a (stated) affinity. Yet this exhibition, which took the gallery’s owner, Robert Mnuchin, approximately a year to assemble, has made waves in New York’s art world. That’s partly because of the quality and breadth of the work on view—there are four rare, late de Kooning "landscapes"—and also because the show forcefully makes the case for parity between the two artists. 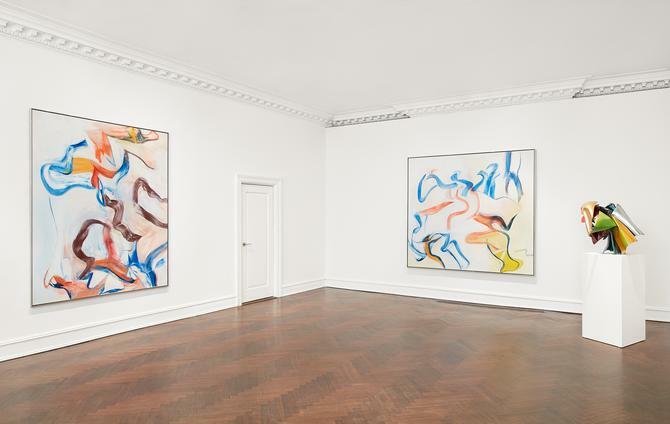 Mnuchin Gallery in New York is hosting an exhibition “Chamberlain/de Kooning” that will be on view through January 28, 2017. 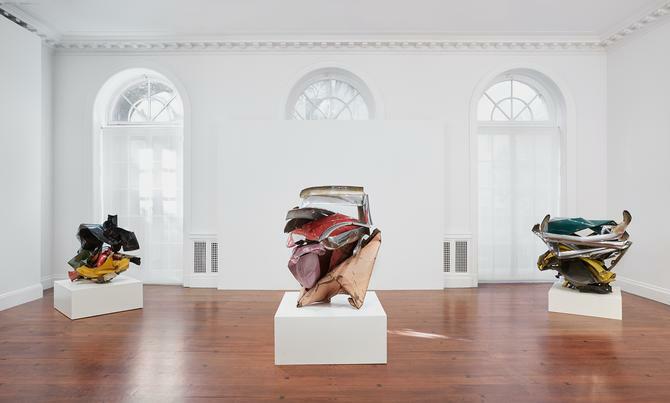 "The hard, sweet, pastel enamels, frequently roses and ceruleans, of Detroit's imitation elegance for the poor," is how Donald Judd described the palette of sculptor John Chamberlain, whose early Abstract Expressionist works feature spare car parts manufactured in the Motor City. 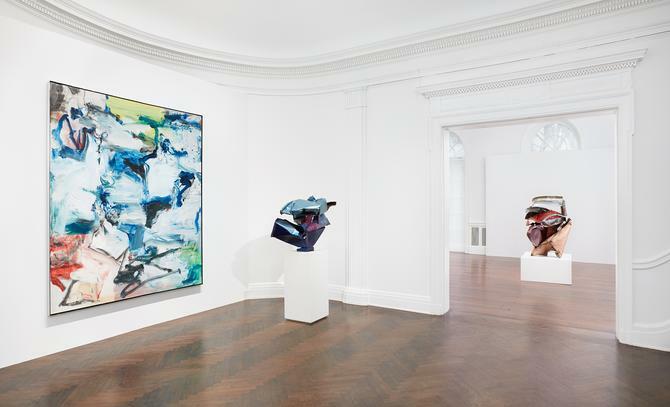 Judd compared their shape and tone to Willem de Kooning's paintings of 1955-1956, an observation confirmed by Chamberlain himself who said, "[Franz] Kline gave me the structure and de Kooning gave me the color." Few galleries these days have a "program"; most have only an assortment of artists whose works say nothing to one another. To have a program means to have the luxury of showing only what you want to show, and to develop through that freedom a narrative. 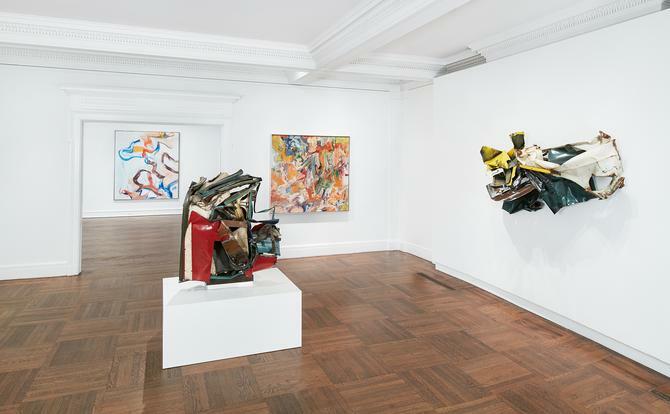 True, the art historical story Mnuchin Gallery tells is largely traditional, but traditions develop because they make sense, and it makes sense to present John Chamberlain's sculptures with Willem de Kooning's paintings. 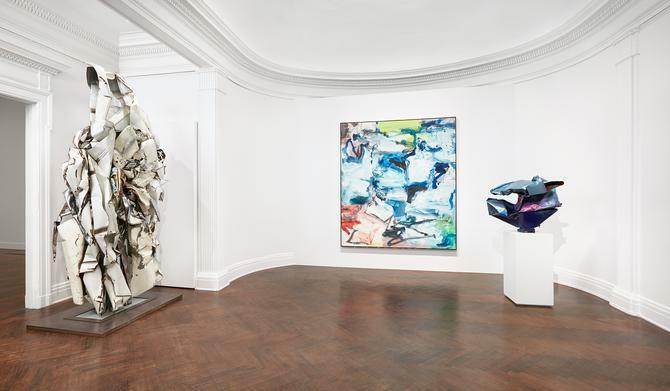 Mnuchin Gallery has organised the first explicit conversation between the welded steel sculptures of John Chamberlain and the bold canvases of Willem de Kooning in the exhibition Chamberlain/de Kooning (until 22 December). It’s well known that Chamberlain was deeply inspired by the works of the Abstract Expressionists. However, the sculptor had a special affinity for the rhythm and gesture found in the paintings of de Kooning—he first encountered de Kooning’s works in 1950, and met him later that decade. 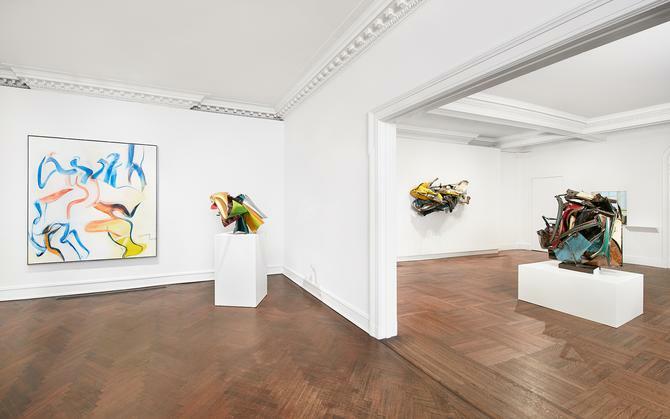 This unprecedented show brings the two artists’ iconic works together, including a dozen Chamberlain sculptures and seven de Kooning paintings, which, shown together, present a harmonious visual dialogue. 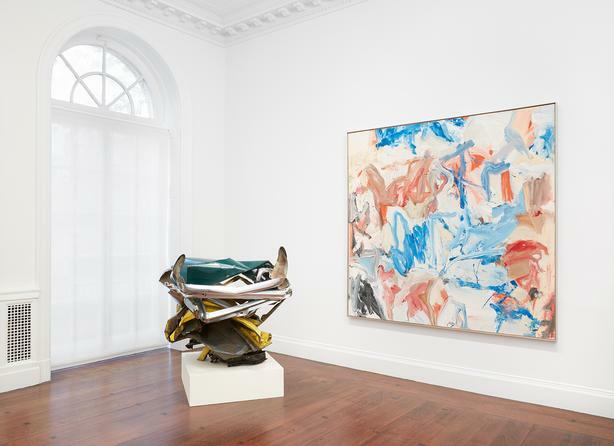 LONDON — The art dealer Robert Mnuchin was testing his theory of parallels between the painter Willem de Kooning and the sculptor John Chamberlain by juxtaposing their work in his booth at Frieze Masters, the major art fair that opened here this week.